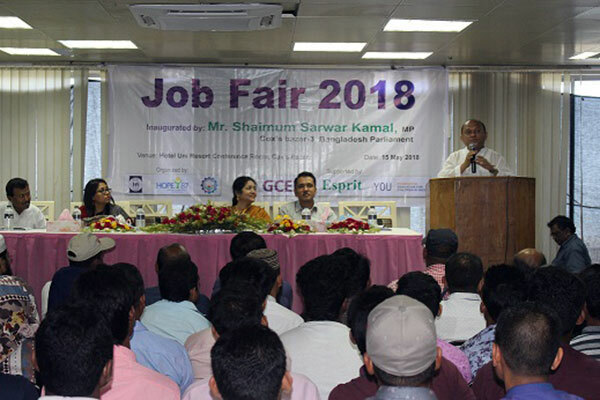 YPSA, Hope’87 Bangladesh and Cox’s Bazar Chamber of Commerce and Industries jointly organized Job Fair 2018 at Renowned Hotel of Cox’s Bazar on 15 May, 2018 which was supported by GCERF, Esprit and You Foundation. The Job fair was inaugurated by Mr. Shaimum Sarwar Kamal, honorable Member of Parliament of Cox’s Bazar. 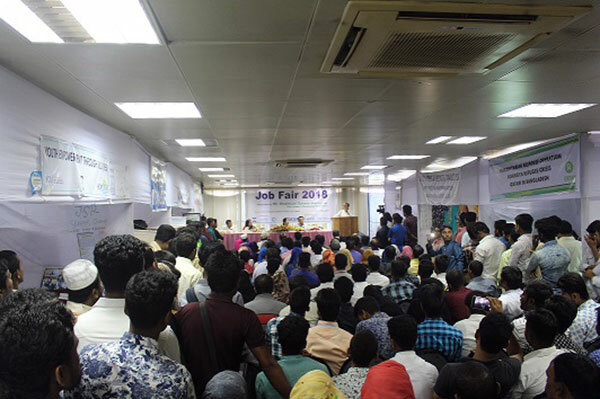 Top officials of Government and National and International NGOs, educational institutions, women organizations, women and different entrepreneurs along with representatives of civil society and media houses attended the job fair. 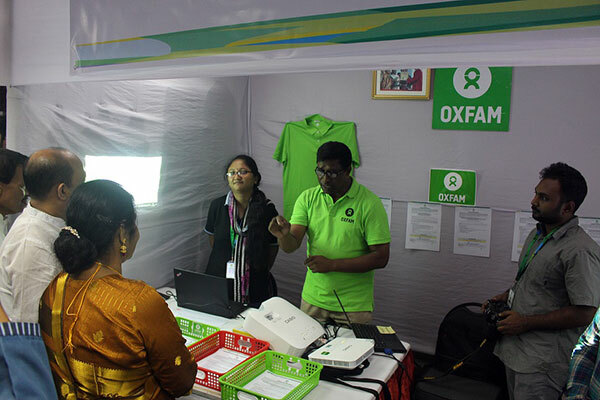 Participants thanked organizers for the time befitting attempt for the Cox’s Bazar history. Focal Person of YPSA-YES Project Ms. Nasim Banu in her inaugural speech briefed about the background of this fair for youth employment opportunities. She thanked to all participants and organizations who joined in this fair. During the speech of chief guest, Mr. ShaimumSarwar Kamal, MP said that, this is the first time of this kind of fair in Cox’s Bazar that organized by YPSA. So, YPSA deserved special acknowledgement from the people of Cox’s Bazar. He said that Cox’s Bazar is the capital of tourism and most focused place in the world. At present, numbers of national and international NGOs are working here for Rohingya response program and huge numbers of star hotels in here and also different employers association also in Cox’s Bazar. So, this kind of job fair for the youth opened a new window for job seekers. He also thanked to YPSA for providing different kinds of skill development training to drop out and unemployed youth . 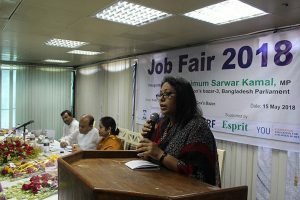 Ms. Khaleda Begum, team leader of YPSA chaired the meeting and underlined that YPSA is always try to do something creative for youths and this job fair is one of that kind. She focused that YPSA is always try to dignify youth’s lives through life skill education and skill development training. She accentuated to all the organizations, stakeholders and youth for enthusiastic participation in the fair. 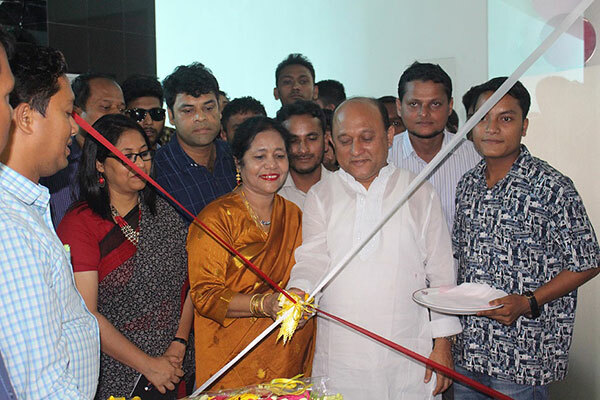 Ms. Khaleda also added after having spontaneous responses from different stakeholders and youths, she committed another job Fair will be organized in this year. Md. Shahidull Islam, Program coordinator of YPSA moderated the meeting. After opening ceremony, chief guest visited all the stalls with guests and organizers. Near about 700 participants attended in this event and near about 2000 CVs dropped in different stalls. For the requirement of youth, Ms. Khaleda Begum, team leader and Rajat Barua, Program Coordinator of YPSA facilitated the session for job seekers.